Gabriel R. Campos participated to this project trough the conception of new teaching tools and as a staff member. This iniciative was a part of his education as teaching fellow by the Grenoble's CIES. 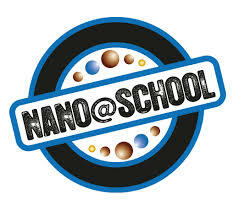 Nano@School is an innovative project which aims the discovery of nanotechnology world by high school students. Nano@School uses CIME NanoTech facilities, and has double challenges which are to introduce the world of nanotechnology to students and educate them on aspects of the underlying physics. Two major themes have guided his team work: how to design an interesting session and teaching while maintaining a scientific approach, and how this experience could be seen by students on the day by day life. Indeed, in this framework, Researchers and Technology fulfils their commitments and responsibilities to future generation’s education.